On 10 November 2016, during the electronica fair in Munich, a special event took place. 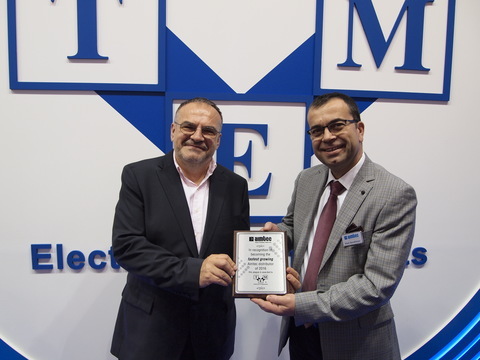 TME was honoured by AIMTEC with the award for the fastest growing distributor in 2016. On behalf of the Canadian manufacturer of converters and power supply units, the award was presented by Mr Vladimir Serafimov (President of AIMTEC /CEO).